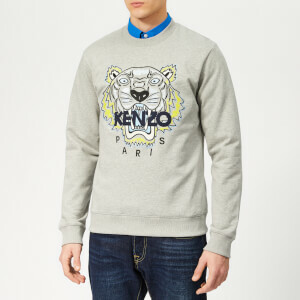 Grey sweatshirt from Parisian label KENZO. 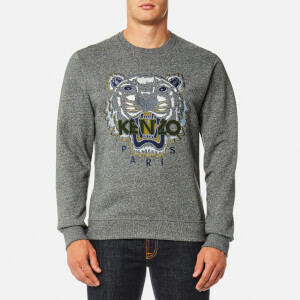 Presented in soft cotton, the sweater features a round neck, long sleeves and ribbed trims at the collar, cuffs and hem. 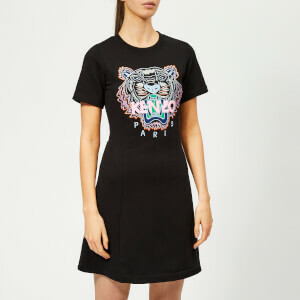 A large embroidered tiger motif at the chest adds a signature finishing touch.